This booklet contains useful information and advice for patients leaving hospital with a Nasogastric feeding tube. How it works and how to maintain it. It also lists specific interventions of what to do should you encounter any problems. We hope it will be helpful to you. If you have any questions, please do not hesitate to contact a health professional. Date inserted: ………………….. Change due:……………….. Flush with……………….. mls of water pre and post feed and before medication. Additional………………..ml flushes can be given as indicated by your dietitian. Never administer anything through the Nasogastric tube unless you are sure it is in the stomach. Always record a pH measurement before flushing or administering medication or feed. pH of 5.5 or below, it is safe to continue using the tube. hospital prior to discharge. By following these procedures the risk of any minor complications arising will be minimised and any troubleshooting issues easily managed. Your consultant and ward team will have discussed this with following discussion at a discharge planning meeting and have assessed that you will be able to care for your tube. 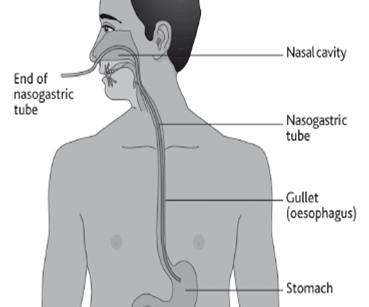 A nasogastric tube (NG tube) is a fine tube that is passed through your nose, downthe back of your throat and into your stomach. The end of the tubing left on the outside of your body is secured to your cheek with an adhesive dressing.The procedure for having a Naso gastric tube is usually carried out by a nurse or doctor and takes just a few minutes. Having the tube passed may be uncomfortable but should not be painful. Once the tube is in the correct position it should be quite comfortable and can then be used to put liquid feed, water and medications into your stomach. Why do I need a nasogastric tube? It can be used to give all the liquid feed, fluids and medications you need. How long will I need the nasogastric tube for? The consultant will make the decision on how long the tube is required for. This will depend on your individual condition, and will be decided between you and the team caring for you. What are the risks of not having nasogastric tube feeding? If you are advised to have nasogastric feeding, the risk of declining it is that you could become malnourished, especially if you are not able to eat normally. What are the risks of nasogastric tube feeding? be misplaced when it is being inserted, or displaced once it is in place. If this occurs he tube would need to be re-inserted. Displacement is when the tube moves out of the stomach because you may have been coughing vigorously or vomiting. Displacement can happen anytime but the risks are reduced by routinely checking that the tube is in the correct place. You will be shown how to check your pH and tube length before going home. How do I care for my nasogastric tube at home? It is important to undertake the following procedures outlined. Nasogastric tubes are held in place by the adhesive dressing/tape on your cheek which means they are very easily dislodged. Coughing, vomiting or pulling on the tube can move the tube from your stomach making feeding unsafe. To ensure that you feed safely at home, you must follow the guidance below. Ensure adhesive dressing/tape is firmly attached to the skin. This should be checked daily. Check the centimetre (cm) measurement at the nostril daily (this is marked on the feeding tube). This should be the same as when you left hospital. If it is not, this may mean that the tube has moved. Alternatively if the measurements are no longer visible you can measure the external length of the tube. Refer to the initial measurement on page 2.If this is different do not use your tube, contact the Nutricia helpline or discharging ward. The ward nurse will go though this with you before discharge home. Every time the tube is used for feed, medication or water, or if you have an episode of coughing or vomiting, it is essential that the position of the tube is checked to ensure the tube tip is in the stomach. This is done is by ‘pH testing’ which checks the acidity level of fluid removed from your stomach. More information about pH testing is provided in the section on the next page. You will be shown how to do pH testing and care for your tube before you leave hospital. How do I do PH testing? Attach a clean 60ml purple syringe to the end of your nasogastric tube (make sure the cap on the port you are not using is closed). Pull back on the plunger of the syringe to draw back some fluid (aspirate) from your stomach (you only need a very small amount (2-3mls). Use a new pH strip and squirt the fluid from the syringe onto the pH strip, ensuring all coloured squares are covered. Allow between 10 and 60 seconds for the coloured squares on the strip to change colour. Compare this immediately to the colour chart on the box of the pH strips for the closest match. If the reading is 5.5 or less, then the tube is likely to be in your stomach and is safe to use. Discard the used pH strip. What should I do if my nasogastric tube comes out? Contact your discharging ward who will arrange replacement. Take your spare nasogastric tube. What if I cannot aspirate or I get a reading of more than 5.5? Check that the tube is the same length as usual (using the centimetre markings by your nostril) or measure the external length of the tube. Draw back 10ml of air into your syringe and push this down your tube (there could be some debris on the end of your tube so the gush of air may help to move it). Try to aspirate again. Try lying on your left side for 30 minutes and try to aspirate again. Factors unrelated to tube position can raise the pH If you are taking acid reducing medication (Your nurse will discuss this with you). Your pH reading will be high. Always check pH before starting the feed to confirm tube position. If you are still unable to aspirate or if the pH is above 5.5, Do not use the NGT. 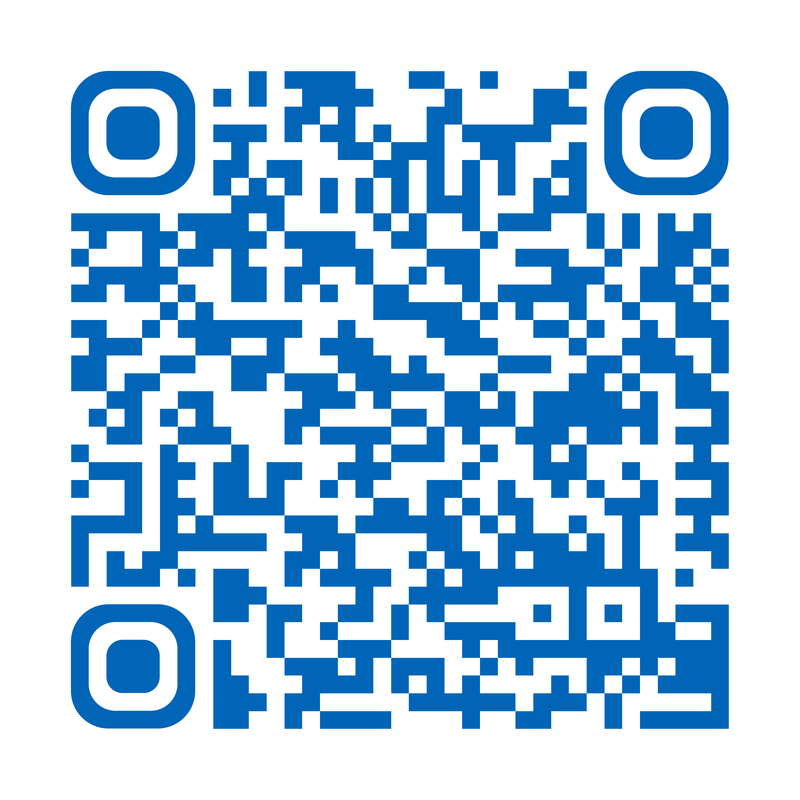 Contact your discharging ward who will arrange for you to be seen on the ward. What if the measurement at my nostril moves? If you are unable to get a pH of 5.5 or below, this may indicate the tube tip is no longer in your stomach. contact your discharging ward who will arrange a time to see you on the ward. Do not put anything down your tube. How do I prevent my nasogastric tube from becoming blocked? Ensure all medications are given separately with a minimum of 30ml cooled boiled water flush before and after each one. What should I do if my nasogastric feeding tube becomes blocked? If you are able to see the position of the blockage, gently massage the tube around the area. If you are unable to see the position of the blockage, follow the steps below. If the above does not unblock the tube, flush the tube with 60ml warm water using a 60ml purple syringe and use a ‘push pull’ technique (draw back 60ml warm water into the syringe and push the plunger in and out repeatedly). Do not use excess force or attempt to unblock it with any foreign objects. If the tube remains blocked, contact the Nutricia advice line or your discharging ward with your spare nasogastric tube. They will arrange a time to see you to remove your tube and replace it. The dietitian will discuss with you the most suitable way for you to be fed. Exactly how much feed you need will also be calculated. An enteral feeding pump is usually required to administer feed, unless otherwise directed by dietitian. until your confidence and skill is gained in undertaking these procedures. Ongoing support will be available when you are discharged home from the Homeward nurse. Can I still eat or drink whilst on feeding tube? You can still eat and drink whilst on NG tube feeding as long as you do not have any swallowing difficulties. A speech and language therapist will assess your swallowing and will determine whether it is safe. You will be advised if you can eat or drink before discharge. How long is the feed attached for? You may be fed during the day and night or just overnight. The dietitian will discuss this with you. Will I still be able to move around? You will still be able to move around and your movement should not be restricted too much. The pump and feed will hang on a mobile stand, and the pump will have a battery facility that will last for several hours, ideally this should be plugged in at all times. Will I be able to take a bath or shower? You will be able to have a bath or shower but should make sure that the tube end caps are closed and the dressing is secure. Dry your nose and dressing thoroughly afterwards. If the edges have lifted on your dressing apply an additional dressing. Will my bowel habits change? You may experience some diarrhoea or constipation whilst having nasogastric tube feeding. If you experience either of these please inform your ward nurse, doctor and dietitian. Nurses will check your NG tube daily for correct placement especially if you are coughing vigorously, retching or vomiting. Your dietitian will review your feeding regime regularly. If you are diabetic, your blood sugar will be monitored regularly. The nurse will keep a strict record of your fluid intake and output so that we can ensure you are receiving the correct amount of fluid. You will be weighed twice weekly. It is important that whilst you are receiving feed via your tube, regular attention should be given to your oral hygiene to reduce the risk of oral thrush and other mouth infections from occurring. Medicines should be in liquid form wherever possible. Flush the tube prior to and after each medicine is administered. 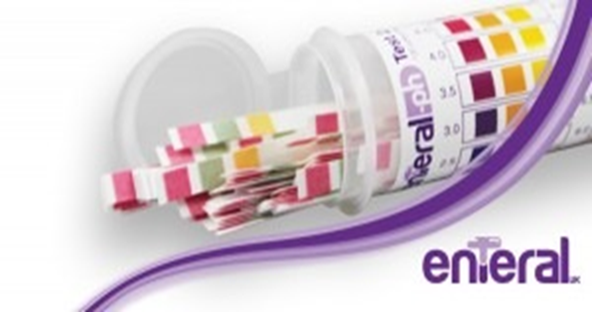 Draw up each medication separately (dilute medication if necessary) using a purple syringe (Enteral syringe). Flush with at least 10mls of water between each medication. After your last medication, flush using a push pause technique. Creating turbulence within the tube when flushing will help to remove particles within the tube. (Your nurse will show you how to do this ). All equipment, including unopened feed, should be kept in a cool, dry place. Any opened, unused feed should be discarded by pouring down the sink and rinsed away. All plastic equipment can be disposed into your normal rubbish bins or alternatively the empty bottles/cartons can be placed in a plastic recycling bin. Adapted with kind permission from Royal Berkshire NHS Foundation Trust by the Specialist Nurse, Nutrition Team.